This Story Of Yours Is Dark. Very Dark. 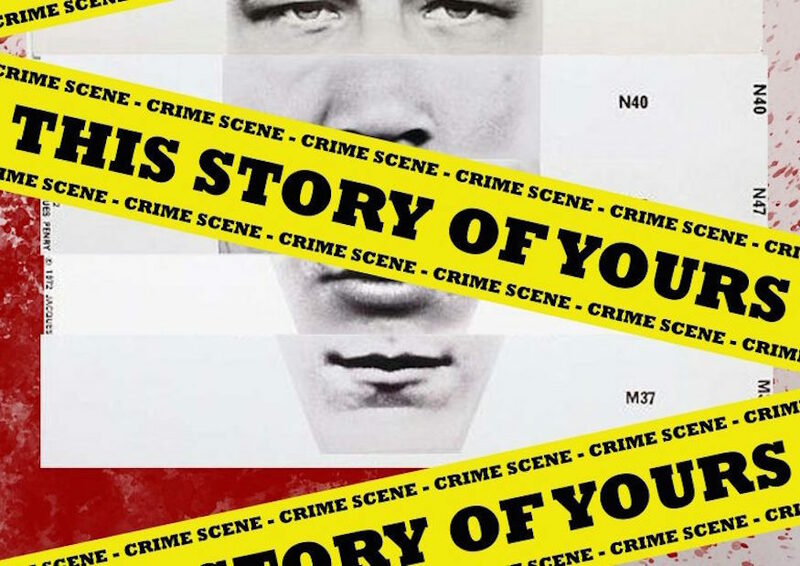 This Story of Yours celebrates its 50th anniversary with a tension-filled, emotionally-charged production at the White Bear Theatre. Written in 1968, the psychological thriller marks John Hopkins' first venture into theatre writing. The story revolves around Detective Sergeant Johnson, who has beaten a suspected child-molester, Kenneth Baxter, to death. Performed in the upstairs of the White Bear Pub in Kennington, the play's set is small and intimate, with a simple set design. The story of Johnson’s altercation with Baxter unfolds over three lengthy scenes, with an interval after the second scene. Each part is fraught with violence and emotion, creating a tension-filled atmosphere that is ultimately unsustainable and draining. There is a frustrating lack of light and shade; Johnson’s comment about Maureen’s dressing gown (“it looks like an electric blanket”), is the most notable moment of humour. The pace is redolent of a pop singer who hits the histrionic note on the first chorus, forgetting there are another two to go. Drawn out over nearly three hours, with little character or plot development, the play is too taxing for a modern, clickbait-hungry audience. But the production does feature a cast of admirable performers: Brian Merry (Detective Johnson) oscillates skilfully from outrage to anguish; Emma Reade-Davies (Maureen, Johnson’s wife) elicits empathy from the audience with ease; William Hayes (Chief Inspector Cartwright), plays a compelling hard-nosed, no-nonsense policeman; David Sayers (Kenneth Baxter) portrays submissiveness and assertiveness in equally convincing proportions. Fifty years on, perhaps This Story of Yours is in need of a 21st century touch-up. This Story of Yours, 138 Kennington Park Rd, SE11 4DJ. Tickets £16/£12. Until 27 January 2018.